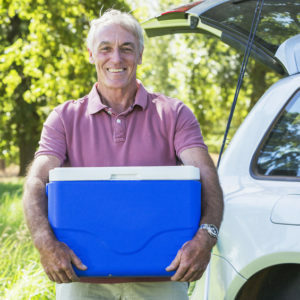 Summertime is full of fun things to do and fun places to go – which also means spending time in the car and away from home. Trips to the zoo, the beach, and the park usually involve travel and hungry kids. Snacks during these adventures can be pitfalls both for your dental visits and your patience as a parent. Popsicles and s’mores have their place in summer fun, but can make a mess both inside your mouth and out of it. 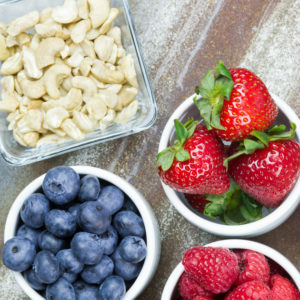 GPS Dental is sharing how a little careful planning and shopping can stock you up with summer snacks that will keep teeth healthy and on-the-go snack serving and cleanup a breeze. Identify the equipment you’ll need and make a place for it. A small cooler or insulated tote will carry most summer snacks while keeping them cool. Select a particular “home” for it in the car and in the house, so it is always where you want it. Add some reusable water bottles and small resealable containers to your collection and you are ready to go. This is a great opportunity to involve your children. Have them pick out their water bottles and snack containers, and find a good place for the cooler. Choose crunchy and fresh over sticky and processed. Sugary and sticky snacks are more likely to stay on teeth after snacking and attract the bacteria that cause tooth decay. They also stay on hands and mouths and stick to seats and car doors. Ick. 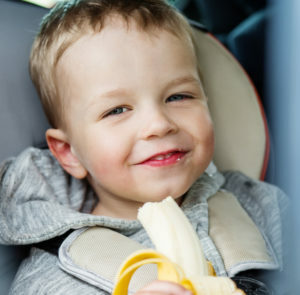 Crunchy foods like fresh fruit, veggies and whole-grain crackers will not coat your smile or muck up your cup holders. Related Read: Is Chewing Gum Bad for My Teeth? 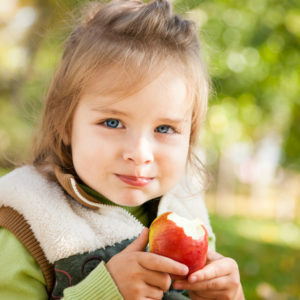 Bite-size snacks are easier for kids to eat and prevent messes. Celery sticks, baby carrots, grapes, berries, cheese chunks or sticks, and crackers are all travel-friendly snacks. They also portion out quickly into smaller containers for your snack cooler. Nothing is more refreshing than ice-cold water on a hot summer day. Water also washes our mouths and keeps gums and teeth healthy, instead of introducing more sugar in juices and soda. 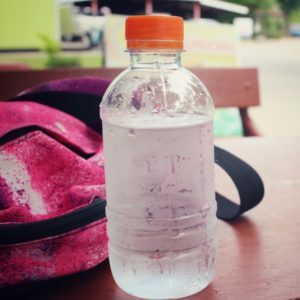 Reusable water bottles are also a great spill-free alternative to juice boxes. Have a great idea for summer snacking? Share it with us! Head over to the GPS Dental Facebook page to share your great snacks, or get some more ideas!